The first time I visited Rome, I spent more time standing in line than seeing the sights. On my second visit, I booked a guided tour and was rewarded with insider access and VIP treatment. Full disclosure: I’m not a guided tour person… or so I thought. My version of travel usually includes investing in every guidebook on the shelves, spending hours researching every detail and then slogging through every sight on my own. On my earliest trips, I would puzzle over sightseeing routes in a foreign language, hoping to discern the best insider advice to avoid the long waits. The first time I visited Rome, I stood in line for hours to see the Sistine Chapel. It was the only line I waited in during my Italy trip — not because my planning skills were so great, but because I lost my desire to spend hours waiting in line to see anything, even the greatest art and architecture in Europe. Fast forward a decade or so, I embarked on my second trip to Rome, this time with my husband and tween son. Friends had warned me that the lines were even longer now since travel had become more affordable, thanks to lower airfares and the strength of the dollar against the Euro. With limited time and a strong desire to impress my son — who’s had the Coliseum at the top of his travel wish list — I did something I’ve never done before. I booked a guided tour. Spoiler alert: It was the best travel decision I’ve ever made. When we met our small tour group outside the entrance to the Coliseum, the line already stretched past the first barrier and into the adjacent street. Our guide looked at the queue, shrugged and took us to the special entrance for escorted groups, where we glided through the archways in just a few minutes. We were off to a stellar start! The next great surprise was that our guide was a doctoral student in history, a fluent English speaker and an expert on ancient Roman culture. 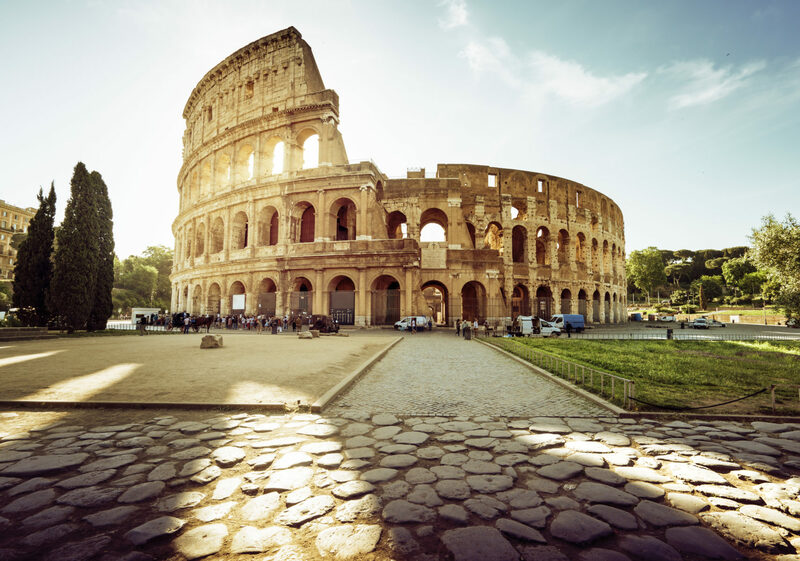 She carried a binder filled with images of what the Coliseum and surrounding Palatine Hill looked like at their peak, along with images showing the gradual decline of the once grand structures. Her expertise made the static stones come alive in a way my self-taught knowledge never did, and her bilingual skills meant I could put down my translator app and relax while she navigated the landmark’s ins and outs. 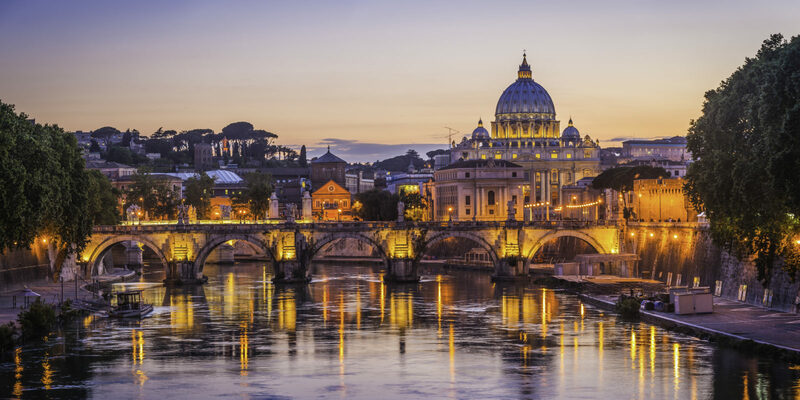 Rome is perennially popular, so be sure to book a tour before you leave for your Italian vacation. 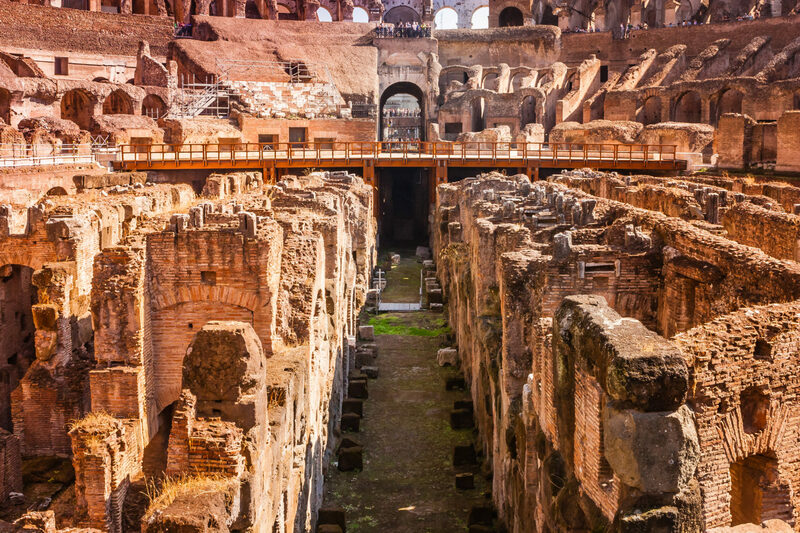 Two minutes after we entered the antique stadium, we strolled into another highlight of the tour: private entry to the floor of the Coliseum, which is off limits to general visitors and only accessible with a certified tour guide. 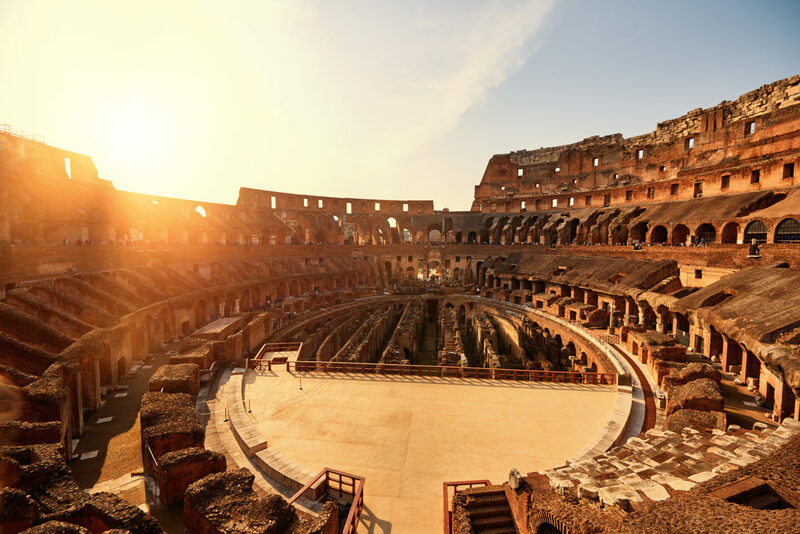 The view was incredible as we gazed into the stands, where thousands of Roman citizens would have watched the gladiators battle for the win. Then, our guide escorted us to the “dungeons” down below, which were also off limits to general visitors. Excavation of the dungeons only finished a few years ago, and unearthed the place where wild animals stayed before each fight — we could picture the hungry lions, tigers and elephants in the special pens where we stood. My son was completely enthralled with our guide’s stories and our VIP access. Finally, our guide brought us to one more amazing sight. Taking a key from another guide, she unlocked the gates to the highest part of the ruins (yet another spot only tour groups can enter). One at a time, we were allowed to take in fantastic views of Rome from the very top of the Coliseum. Meeting other travelers with the same interests was an added perk that I hadn’t anticipated. My husband, son and I bonded with another family during our amazing tour. Afterward, we all went for gelato, which turned into a pizza dinner, and then continued with a second dinner the next night. In fact, we’re still in touch today; our new friends became our best “souvenir” from the trip, and one of the many reasons I’d definitely choose a guided tour the next time I travel. When exploring the Coliseum, wear comfortable shoes, since you’ll do lots of walking. Also pack the essentials: a hat, extra sunscreen and water. 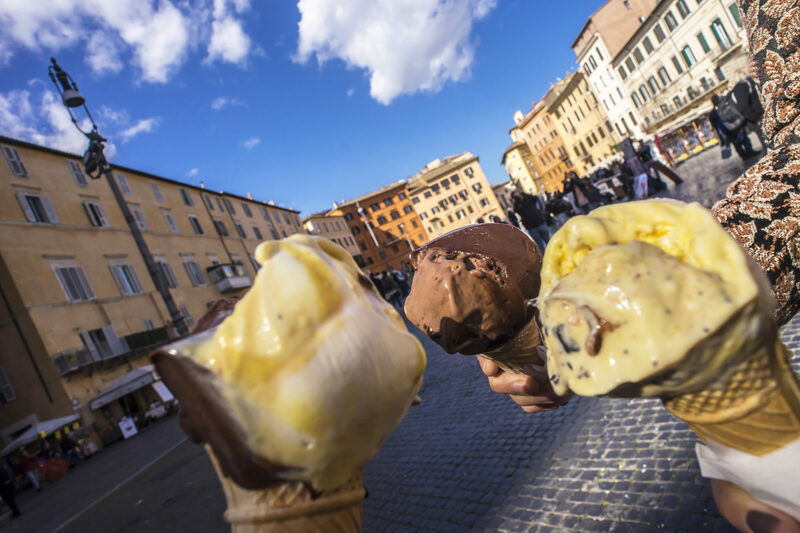 Discover the guided tours of Italy available through the Marriott Vacation Club DestinationsTM Program.